Beloved Family of Light, July promises to be a month filled with changes, transitions and new beginnings. You will feel these changes and transitions deep in your own being, but you will also see many changes ocurring on the outer or social levels. The New Earth Soul is birthing into manifestation on the Planet with the assistance of the Diamond Crystal children, and so a new society and a new way of being is also being birthed that will meet your deep desire to live at a higher level of consciousness and being. To assist this process, the waves of TimeSpace energy in July will facilitate changes. There will be two Full Moons in July, the second one will be a „Blue Moon“, which as you know is a powerful force for bringing up deep issues that are submerged in the subconscious, both of the individual and the society. The Blue Moon itself will be on the 31st of July. The first Moon will be in Capricorn/Cancer, and with Pluto in Capricorn there are already powerful tides of transformation and change in activation. The second Moon will be in Aquarius/Leo, and will faciltate the New Earth energy into manifestation as you move towards the Lion’s Gate and the 8/8/8 on the 8th of August. The month of July also brings you to the Planetary New Year on the 26th of July, and the „Day Out of Time“, on the 25th of July the day before. This is the moment that the Ancients understood that powerful Cosmic and Galactic cycles were completed and initiated in relation to the Earth. The Day Out of Time is that moment before the new cycles start, and you are encouraged to spend the day in playful creativity, allowing the old to end and the new to begin. Decide for yourself what you need to release and what you need to begin as a new cycle, as you enter into this new cycle of powerful New Beginnings. The 26th itself is a good time to really focus your intention and attention on what you would like to create, manifest and achieve in the new cycle of 2015/6. Beloved Ones, this will be a wonderful moment to fully birth the New Earth Soul on Earth and within you! The tight grip of Economic control and hardship on the Earth is loosening, and people will begin to feel that they can breathe and move again. They will be able to focus energy on becoming what they would like to be and experiencing the absolute joy of life on a higher level of conscious awareness. This is life on the 4th, 5th and 6th Dimensions of Physical Existence, and not just in the trap of 3D Duality and struggle. What does this mean for you, Beloved Ones? It means that you can transcend the economic prison of Time in 3D and begin to create and manifest your own timelines and TimeSpace projects. This is what it means to master the 4th Dimension. In this space you can use the flows of Time to your advantage rathe than being trapped within them as most people are. You will learn to claim your own timelines rather than simply giving your time and space to the timelines of those in „control“. Then, in the 5th Dimension, you will learn how to flow with the energy of Unity Consciousness and „Oneness“. This means that you will lose your fear of the „Collective“ energies and you will learn to „surf“ or ride the waves of consciousness that wash over the Planet as the Deep Consciousness of Gaia and all who live on her responds to the incoming Light Codes from the Cosmic Heart. Releasing these fears will assist you to move beyond „ascension symptoms“ into a more grounded and peaceful place when the Earth is in the process of integrating these powerful incoming Light Codes. 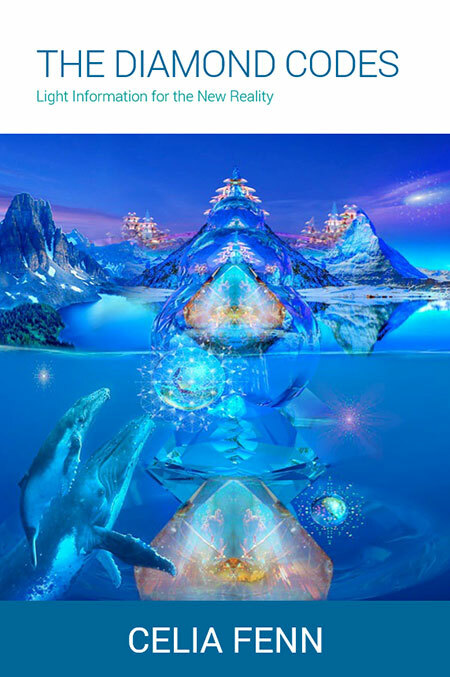 The, as you learn how to master the 6th Dimension, you will fully activate all aspects of your creativity, and you will learn how to manifest through art, dance, song, poems, ceremonies, sacred space and many other forms of Soul Expression. Your Soul wants to sing and dance and create on the Earth, and the New Earth Soul will release this powerful creative energy that is activated by the Diamond Light Codes and will create a maginificent New Reality! The Diamond New Earth Soul is a powerful being, whose inner light shines with Clarity, Integrity, Love, Joy and Compassion. In these waves of Change and Transition, you can work with the Diamond Light Codes to raise your frequency and reach into your deep Soul energies and birth a new Earth Being that expresses the wholeness, the Joy and the Vitality of who you really are on a deep level. The Diamond Crystal Children are birthing in increasing numbers onto the Earth, to assist you to hold, manifest and create with these new levels of Earth Beings and Existence. Beloved Ones, we ask you to FEEL this new energy stirring and moving within your Heart and Soul. It is not something that is outside of you, but is rather a deep longing to birth something new that arises in your Heart and is expressed by your Soul in the world. Follow your instincts, your inner voice, and your creativity! Follow the whispers and the promptings of your Soul as you birth a new way of being in the world that flows from your trust in the guidance of your Higher Self and the flow of Divine Wisdom in your life and on the Earth. Yes, there may be pressures and tension all around you, but remember that the Diamond is formed through Time and Pressure within the Earth. So it is too that your Diamond Soul is forming and emerging from this pressure and being birthed into a new human form that is YOU! What a wonderful and joyous gift this is, and something that you can celebrate at this time! Dear Family of Light, it is true that we have spoken of Economic changes, and that you have waited patiently for these. But we are happy to say that now is the time that you will begin to see real economic changes on the Earth. There are several activation points on the Earth where deep changes are ocurring. The most important of these in in Greece, in the vicinity of the Andromeda Star Gate that is situated in the Aegean Sea between Greece and Turkey. Much work has been done in these areas to allow for the flow of new energies and new ideas that are seeded from a higher level of Consciousness. In addition to the Diamond Light Codes that are transmitted through the Grid from the Great Central Sun, there are also Light Codes received from the Andromeda Galaxy that intiate or seed more creative and more harmonious ways of living, for this is the „gift“ of the Andromeda Galaxy to Earth. So, what you will see in this area is the beginning of the expression of the desires and will of the people, rather than a simple acceptance of what those in authority desire to impose. It is time for the voice and the creative will of all people to be considered in decisions. 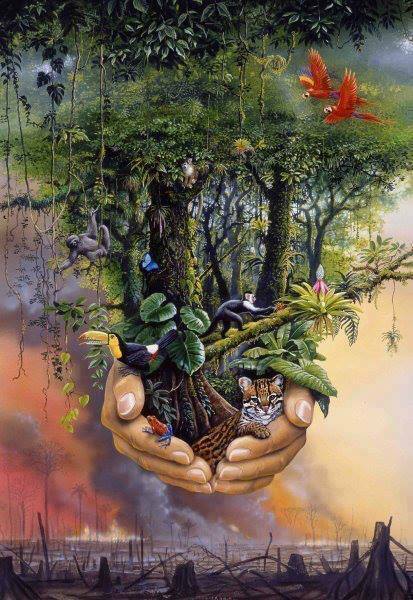 It is time for the Higher Consciousness and Will of Ascended Humanity to be expressed as a request for Abundance and Harmony for all living beings on Earth. Beloved Ones, it is time for you to embrace the changes. Do not hold onto old ways of beings and habits of the third dimension. It is time to think beyond these ways and enter into a courageous expression of your New Earth Soul. Embrace your inner wisdom, your power, your compasssion and your creativity and Dream and Imagine that New Earth that is waiting to be created. Do not allow what others say to pull you into fear and anxiety. Do not let the Collective waves of distress become yours, but allow yourself to be a beacon of Light and Hope, and a role model for new ways of living. Trust what is and what is unseen, and know that you will be provided for in this great change and transition. Know that you are loved and supported at all times, and that you came to the Earth for this very reason, to be a part of these great changes! Celebrate the opportunities that are given to you at this time, to full master the New Earth energies and to step forward as an empowered and creative Being of Light! If you would like to learn more about the Diamond Light and the Diamond Codes and how you can integrate these into your life, please explore Celia Fenn’s new book „The Diamond Codes : Light Information for the New Reality“. The book is available as an E-Book for Kindle or Mobile Devices, or as a Print Edition.